The MUStRAIN project involved the Dutch-based partners IRC, RAIN, water health, and Quest-consult working with the Ministry of Water, Irrigation and Energy, the Millennium Water Alliance, Catholic Relief Services, RiPPLE, Hararghe Catholic Secretariat (HCS) and other Ethiopian-based organisations. The project, concluded at the end of 2013, focused on developing opportunities for multiple use water services in Ethiopia linked to innovative water harvesting technologies and household-led investment in water supplies (Self Supply). The project was generously supported by the Partners for Water Programme. In its first phase, the MUStRAIN project (2011-2012 with follow-up activities in 2013) carried out research and demonstration activities focused the development of water harvesting for communal multiple-use schemes (i.e. irrigation, livestock and domestic uses) in very arid environments around Dire Dawa. This was based on the exploitation of river bed aquifers through sand-dams and sub-surface dams. A second phase of the project (2013) focused on piloting Self-supply acceleration to encourage household-led investment in family wells. Here, the technology focus was on the development and safe use of shallow groundwater through hand-dug wells, manual drilling, related lifting technologies and Household Water Treatment and safe Storage. Working with the Ministry of Water, Irrigation and Energy and regional governments in Oromia and SNNPR the project supported policy development, piloting of approaches and planning. The project has also generated a range of knowledge products including a series of case studies based on research of multiple use water services in Ethiopia, guidelines and training materials, and awareness raising materials including short films. What do people want to do with water? 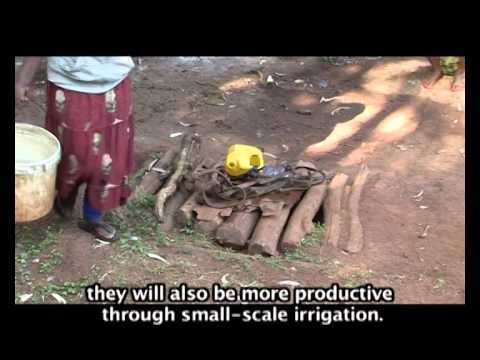 A MUStRAIN case study on greywater reuse in keyhole and vertical gardens in Ethiopia. A MUStRAIN case study on manual well-drilling. 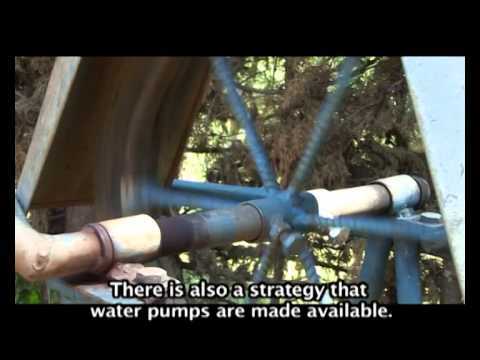 MUStRAIN case study on addressing livestock needs together with other water uses.